Andrea Gompf of Remezcla calls EFA Project Space Artist Firelei Baez's series "Prescribed Seduction," 'beguiling'. The series was included in the group show "Crossing the Line: Contemporary Drawing and Artistic Process" at the Mixed Greens Gallery. 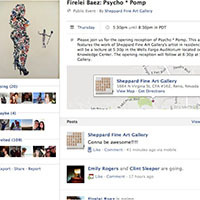 EFA Project Space artist Firelei Baez will show her new works in her solo exhibition, Psycho * Pomp at the Sheppard Fine Art Gallery where she spent August as an artist in residence. 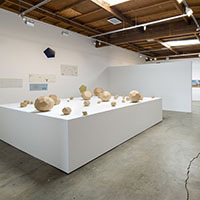 The exhibition is on view through September 28, 2012. Firelei Baez's works are currently on view in a group exhibition, "ACIREMA," at the Honor Fraser Gallery in LA. The exhibition is up until August 25, 2012. Firelei Baez's water paintings on paper are on view at the Morgan Lehman Gallery up until August 17, 2012.